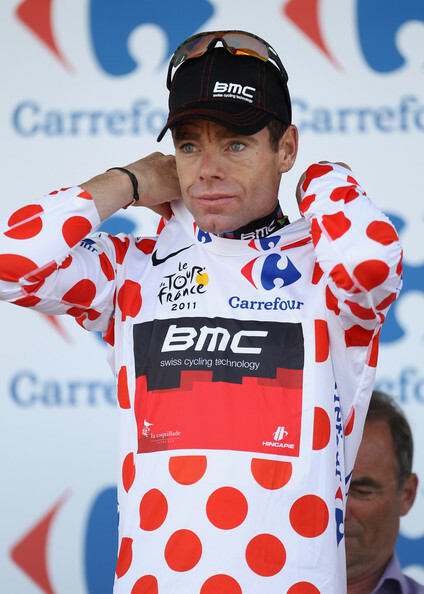 Help me find the polka-dot wrapper that the Tour de France King of the Mountains Jersey is based on. As you may know, the leader in the King of the Mountains competition in the Tour de France wears a white jersey with large red polka dots. According to wikipedia and the tour and a bunch of other sources, the jersey came into existence in 1975, when it was sponsored by Chocolat Poulain, who at the time had a candy bar wrapper with red polka dots. But I've been googling for a few days and I can't find any evidence of this polka dot wrapper -- 1975 seems like it should be recent enough that there would be lots of pictures of it, but I just keep finding these orange and blue packages or packages with old-timey illustrations in my searches. Can anyone find an image of this polka dotted wrapper? That's a story that often gets re-quoted, but never, it seems with a lot of confidence; the other version is that Félix Lévitan, the organiser of the TdF at the time, was inspired by the polka-dot jerseys he saw as a young man at the Velodrome d'Hiver in Paris. 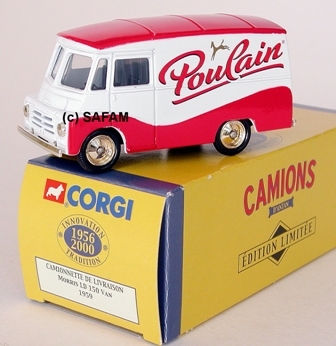 The colour-scheme matches Poulain's branding, but archive photos of Poulain in the Tour caravan don't show any polka-dotted chocolate. Interestingly, for what it's worth, the French version of wikipedia only makes mention of Poulain's colours, not specifically polka dots. There are enough examples of those colours in old skool Poulain marketing, signs and packaging and novelties. Poulain probably is the source of the colours. I can't find any record of polka dot wrappers either. Oh Bobke, why did you lie to me. Thanks for the confirmation that I'm not nuts and that supposed polka-dot wrapper is unfindable, and for the info as to wear it probably actually came from. At first I'm inclined to think the sources must be wrong (alas for Wikipedia, which relies on them), but something just occurred to me. In times of yore, you might have found chocolate that came not in a plasticized wrapper like today, but in a small bar-sized box, and within that may have been a waxed wrapper with polka dots. It seems this might turn into liars' history, though. That's actually more or less what I was picturing, but wouldn't you still expect there to be some pictures somewhere of this wrapper that was supposedly so well known in 1975 that they based a jersey on it? Again, a reason why this is strange and an example of how distant even the recent past can be. I personally lean toward the colors-only explanation, but even those don't really match.